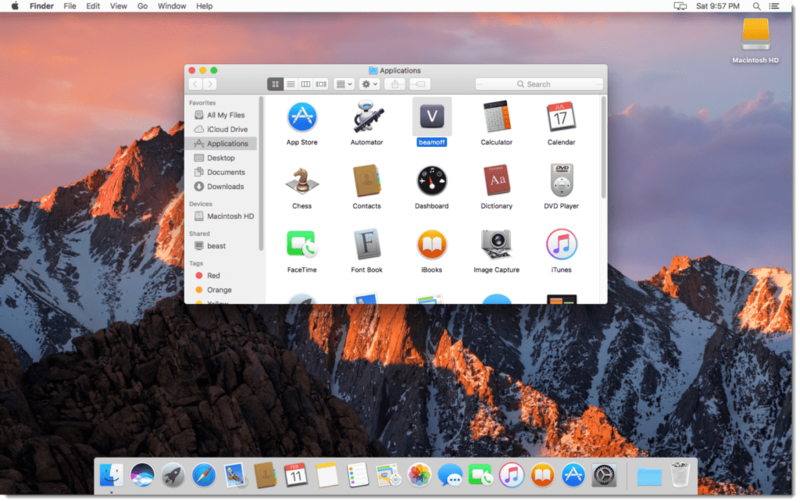 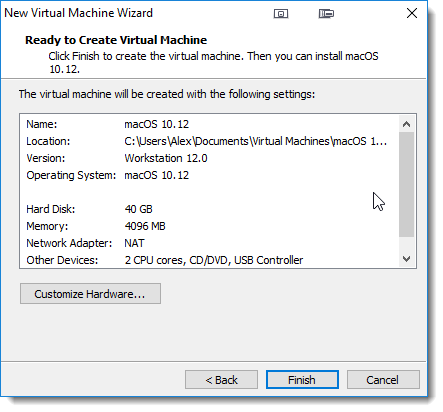 Running a MacOS/ OS X virtual machine is not anything new and has been supported for quite some time, as long as you are running said VM on a supported hypervisor with Apple Hardware. 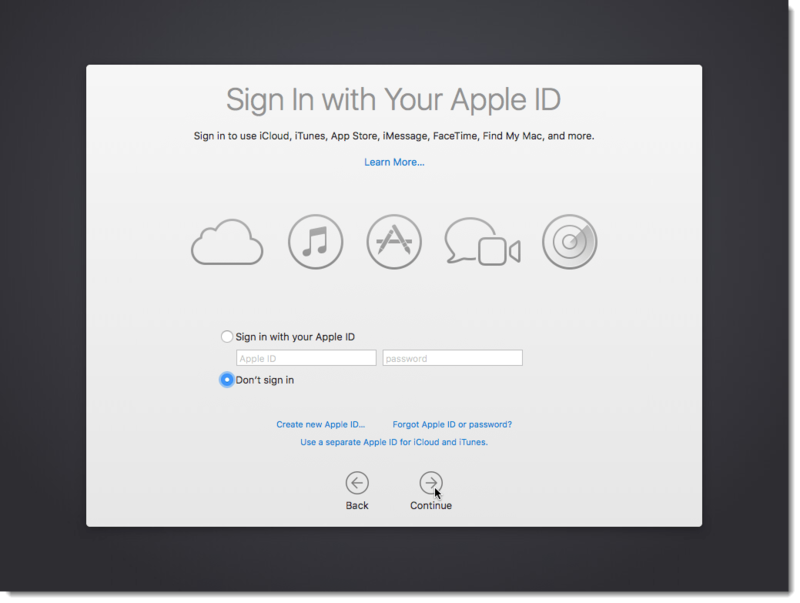 But many of the “Non-Apple” users in the world would not be able to take advantage of this without owning some type of Apple Computer. 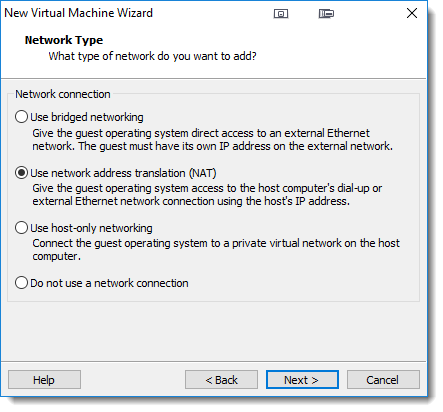 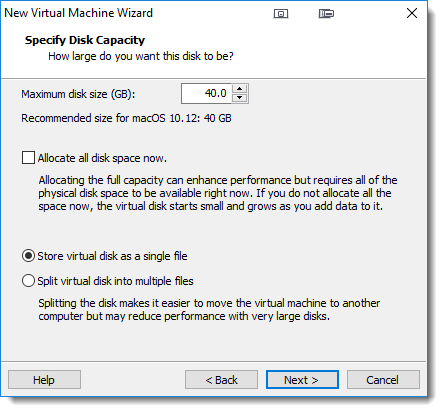 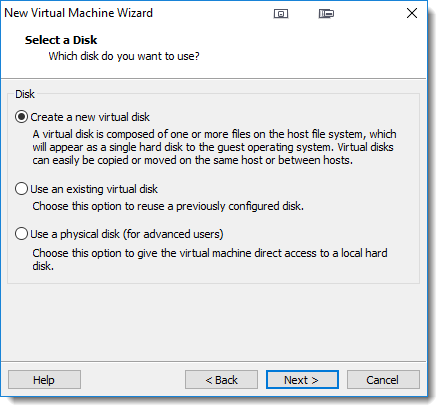 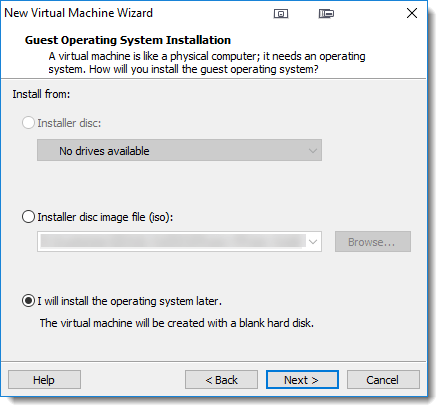 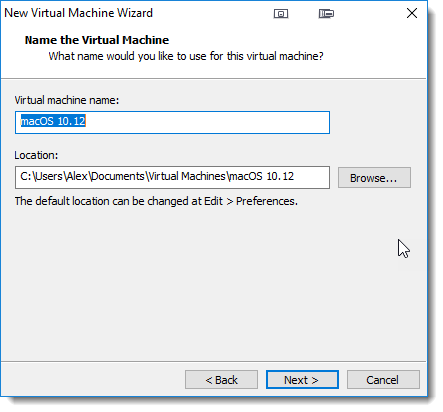 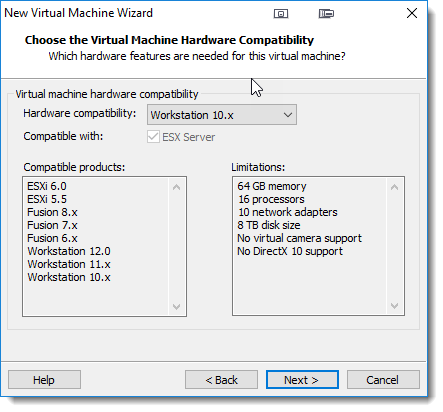 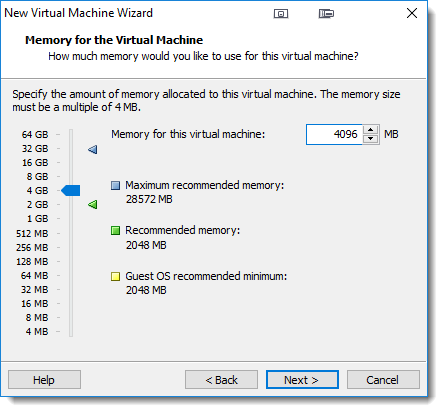 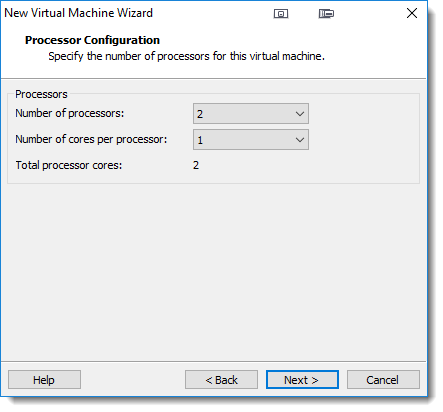 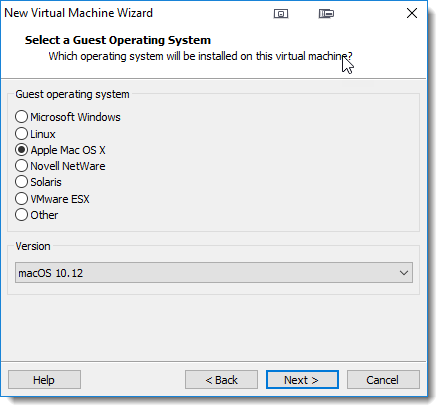 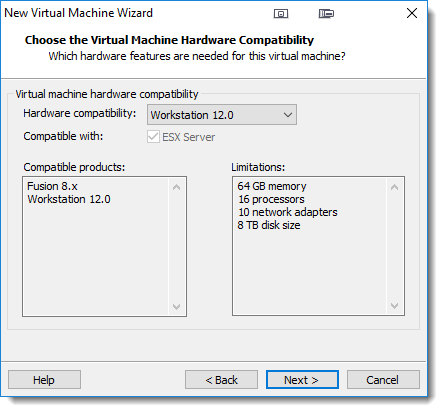 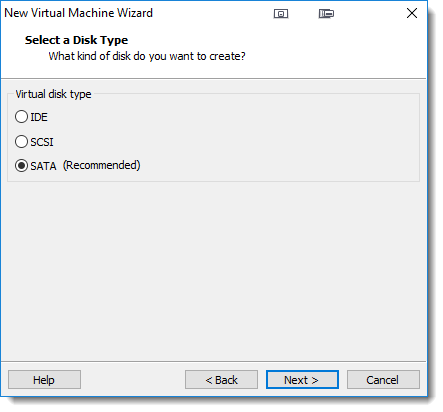 Luckily, there is an alternative method for running a Mac-based VM on non-apple hardware-based VMware ESXi and/or VMware Workstation for Windows! 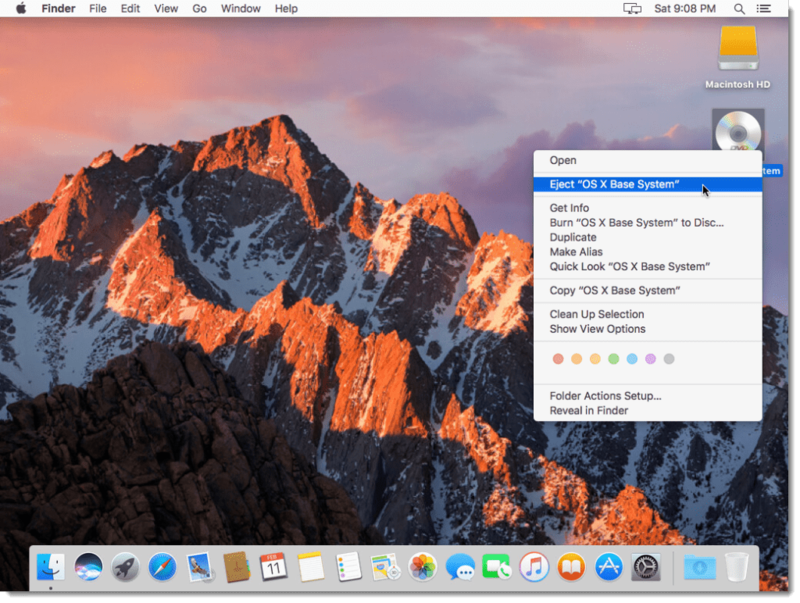 In this tutorial, I am going to show you just how to do so. Please keep in mind that the methods described in this article are not supported nor endorsed by Apple or VMware in any way, so please use at your own risk. 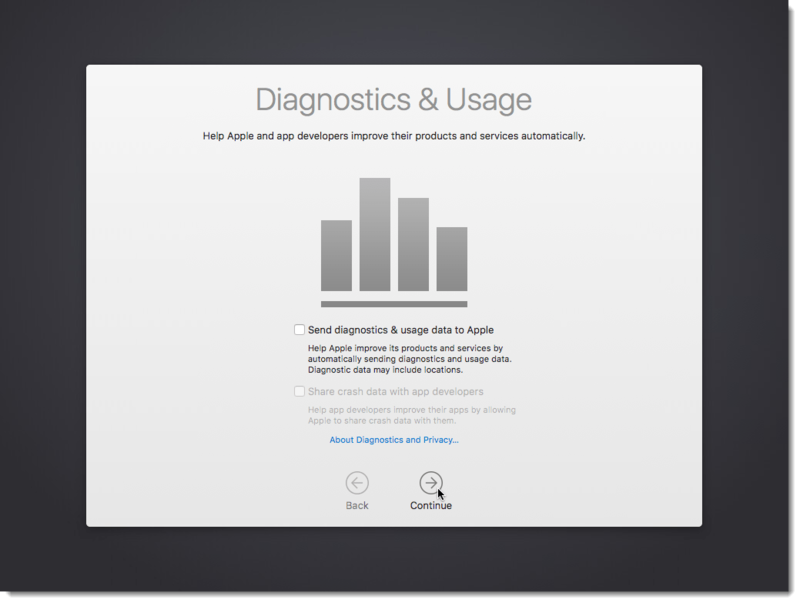 Before we can begin, there are a few tools required to ensure this works flawlessly. 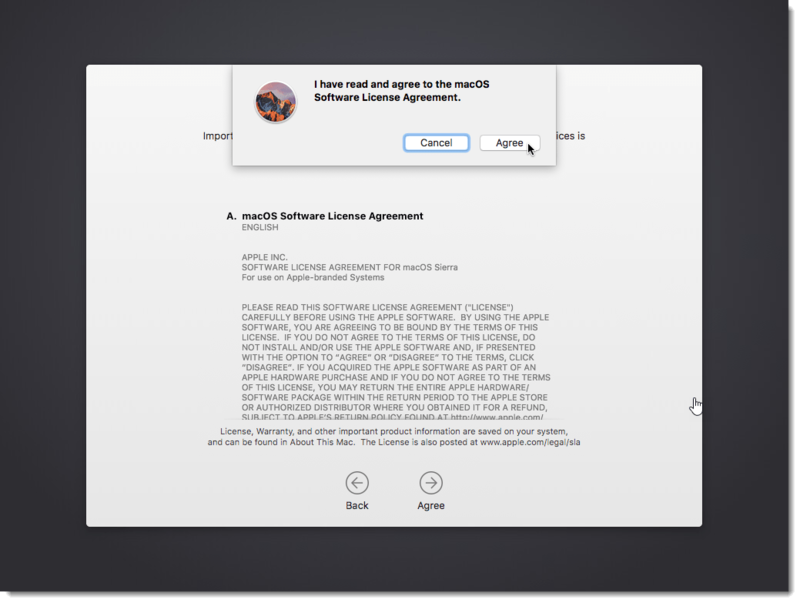 This media will have to be created as the OS comes as a .app by default. 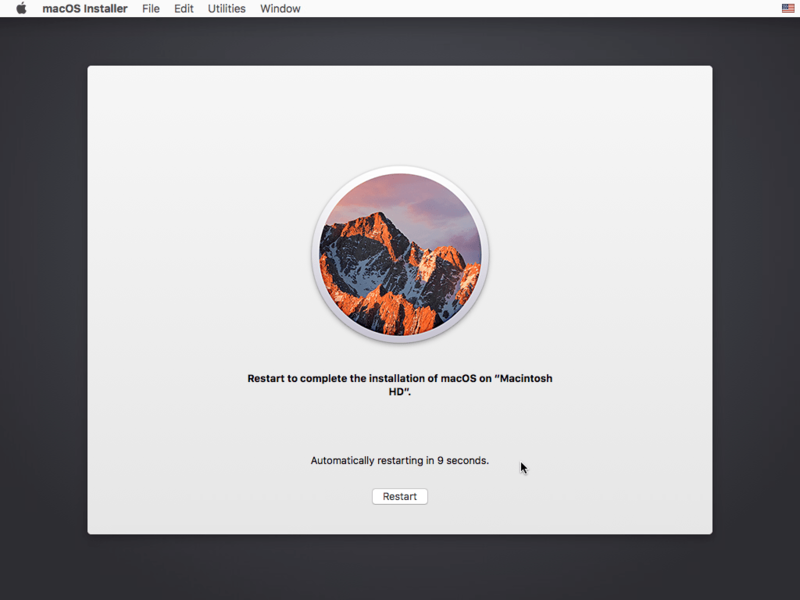 This link has a good tutorial for creating said media. 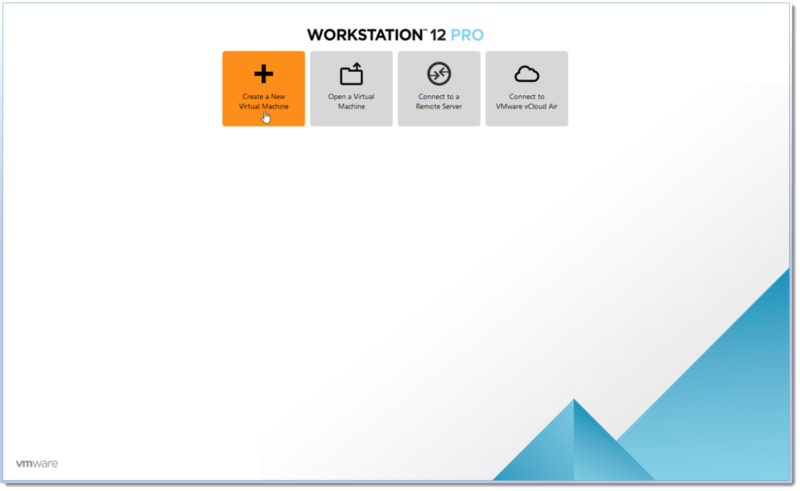 Make sure that VMware Workstation is installed but not running. 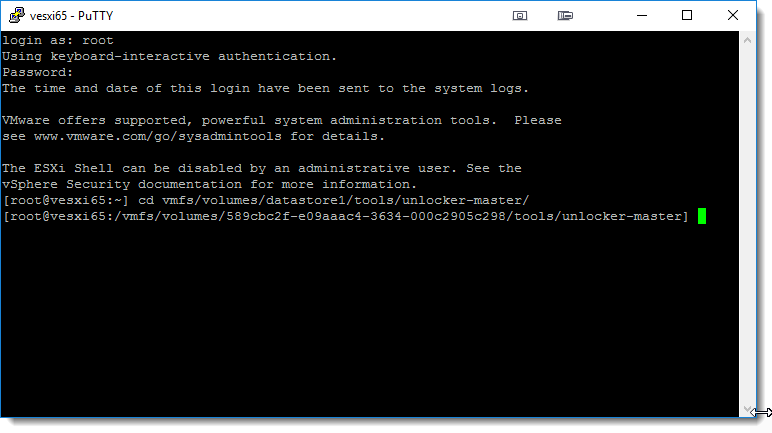 Extract the contents on the Unlockler 2.0.9RC. Run win-install.cmd. 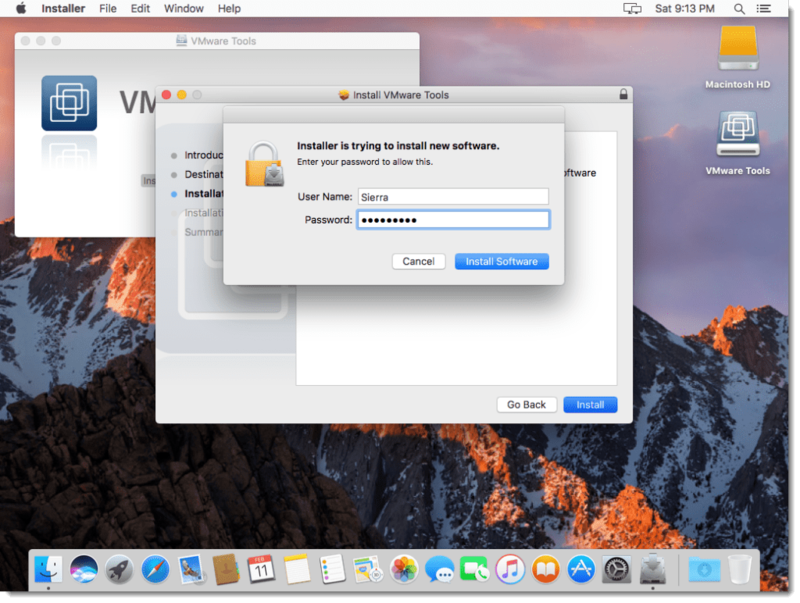 This will patch your VMware Workstation to unlock the capabilities to run a Mac OS. 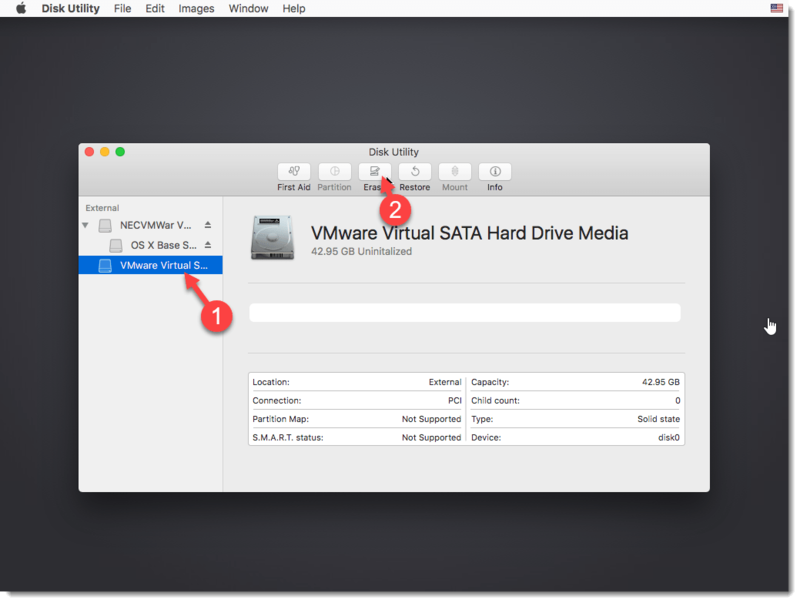 It will also download the latest VMware Tools (darwin.iso) for macOS into the extracted directory. 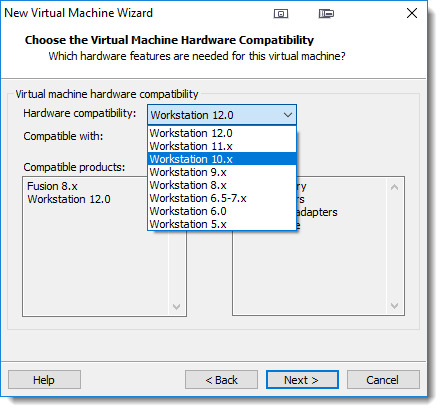 When choosing the hardware compatibility, you can optionally change this to version 10 so that you do not need to manually edit the .vmx file after the shell has been created. 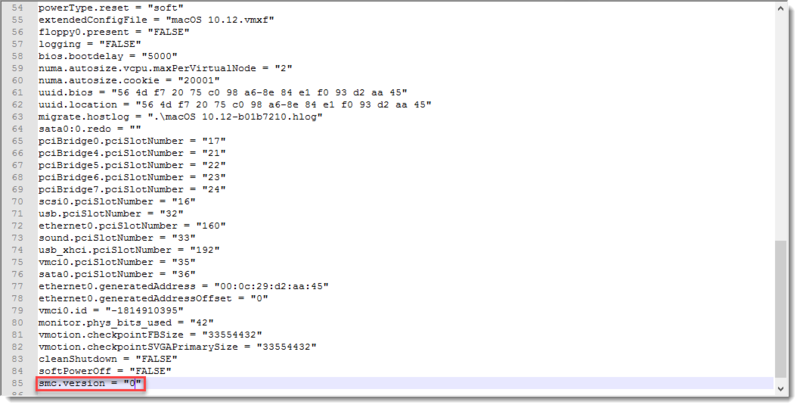 Now that we have the shell created, we still need to attach the ISO to the VM. 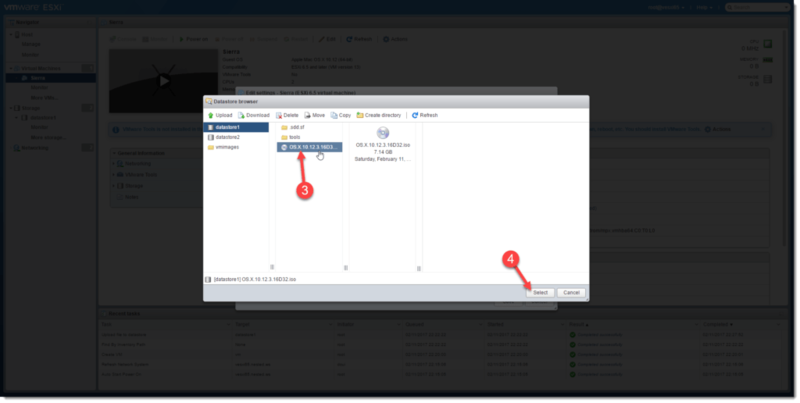 Click on the CD/DVD (SATA) option on the left side in the Devices pane. 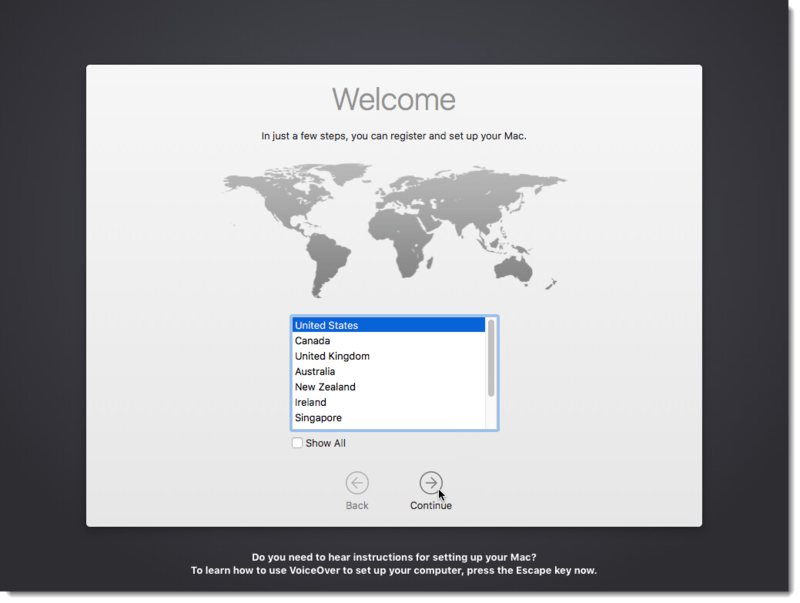 Once in the settings, select the ISO image. 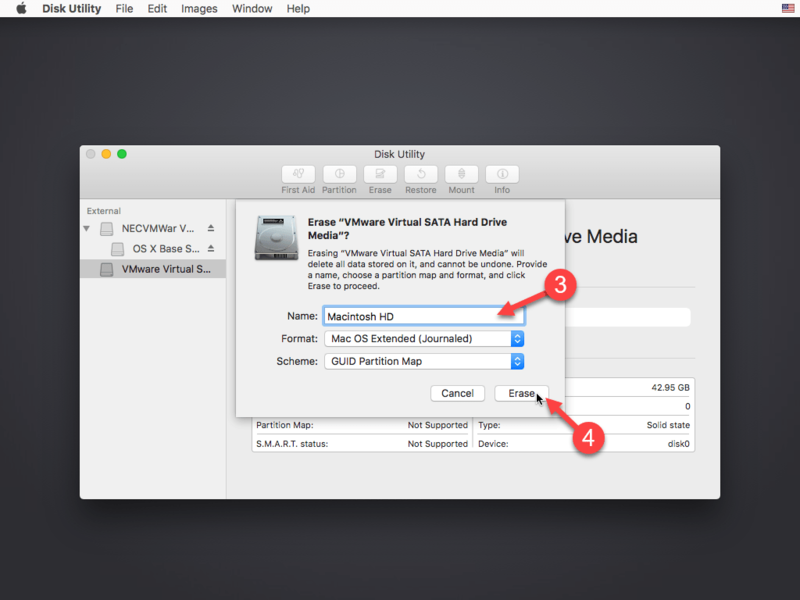 Next, navigate to the directory that houses the virtual machine’s files. 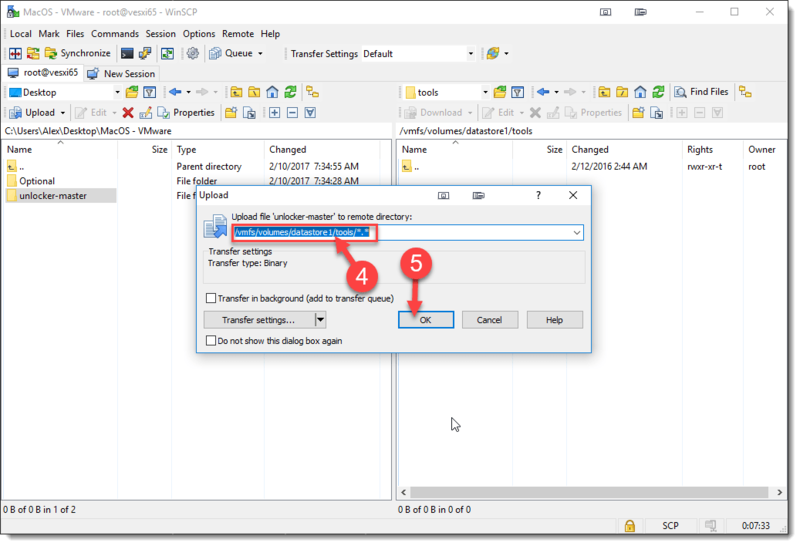 Edit the .vmx file with your preferred text editor. 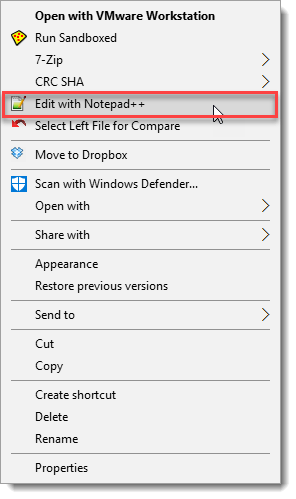 I personally love using NotePad++. Scroll to the bottom of the text and add the following line. 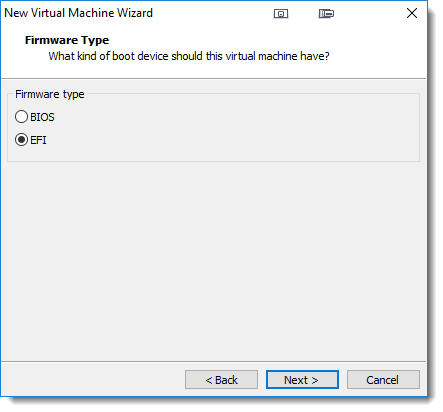 This will enable the VM to boot up. 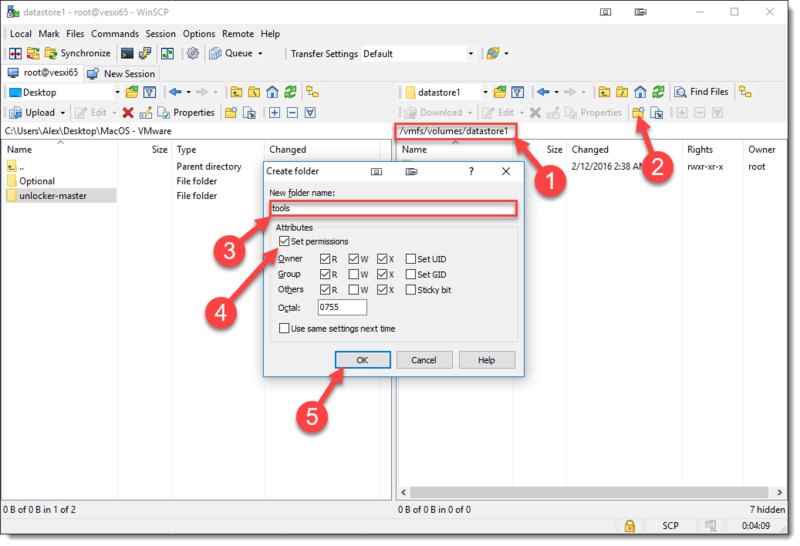 If you opted to change the hardware version to version 10 in the earlier steps, disregard this and move on to the next step. 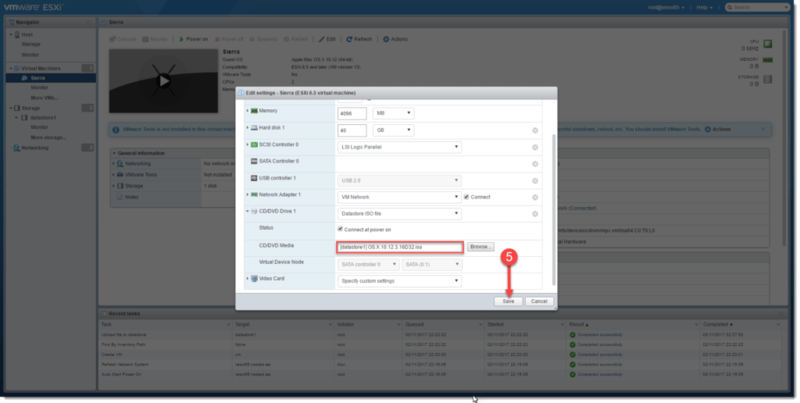 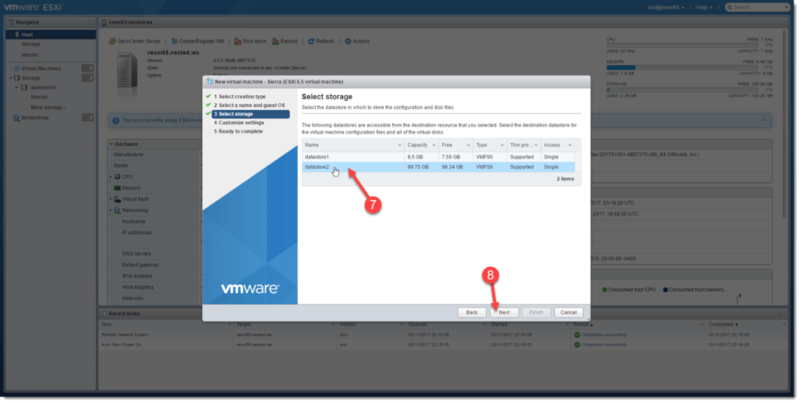 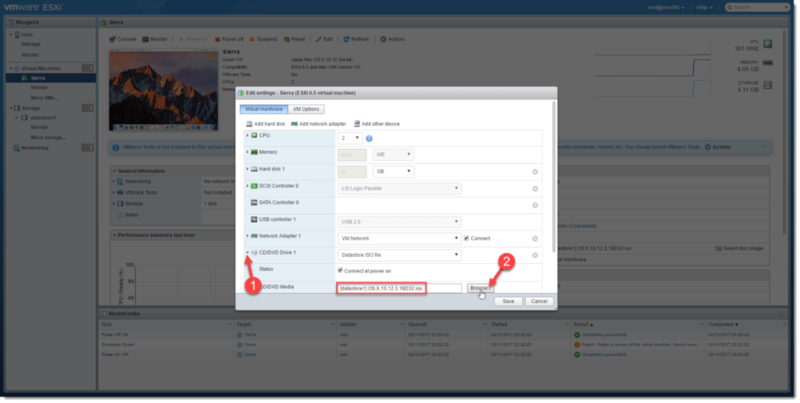 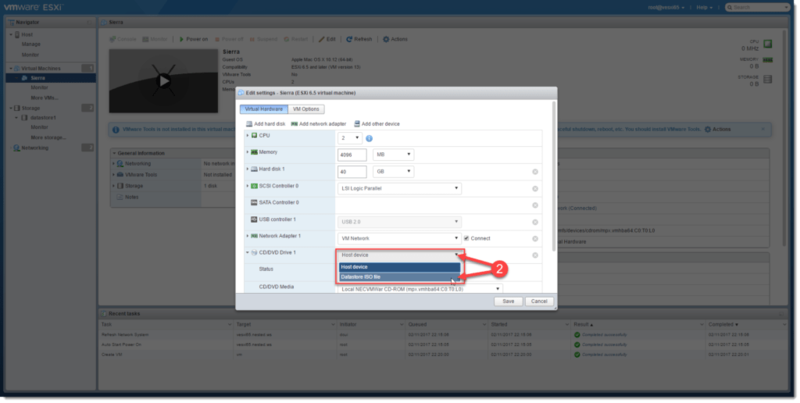 For ESXi we first need to copy the unlocker utility to a local or shared datastore. 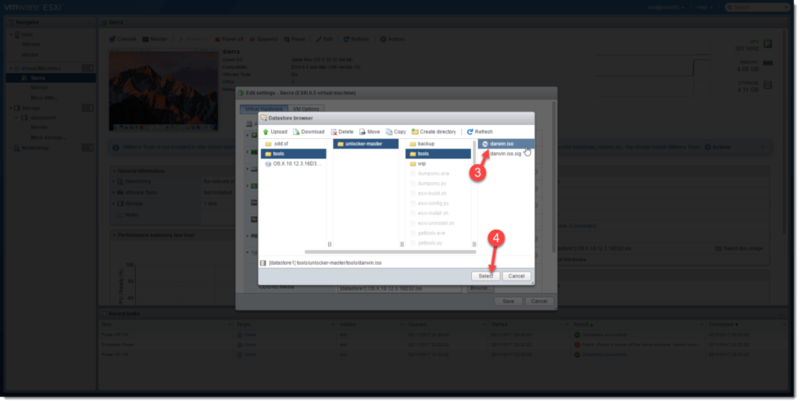 You can accomplish this by using vCenter, ESXi Host UI, or WinSCP. 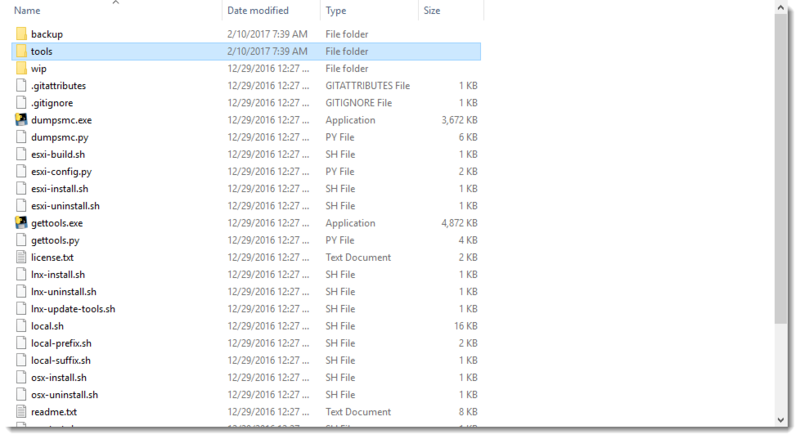 For simplicity, I opted to use WinSCP and copied the folder into a newly created “Tools” folder on a local datastore. 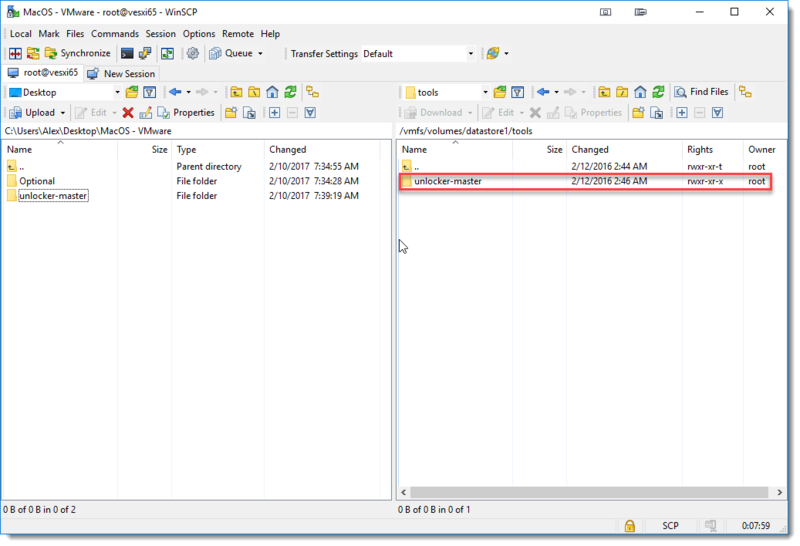 You can also take this time to upload the .ISO to the local datastore for use later in this tutorial. 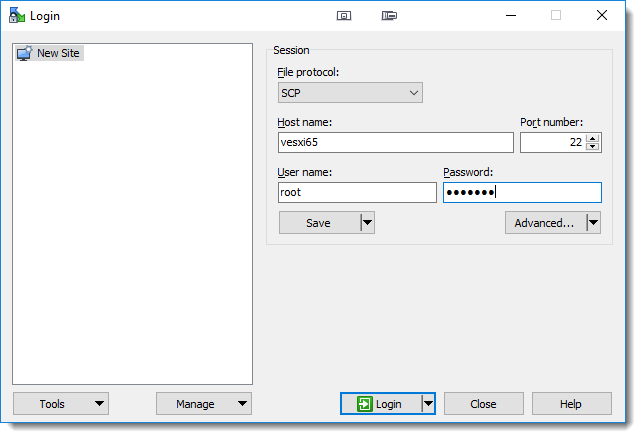 Now that the files have been copied, open an SSH connection to your ESXi host, and navigate to the unlocker directory. 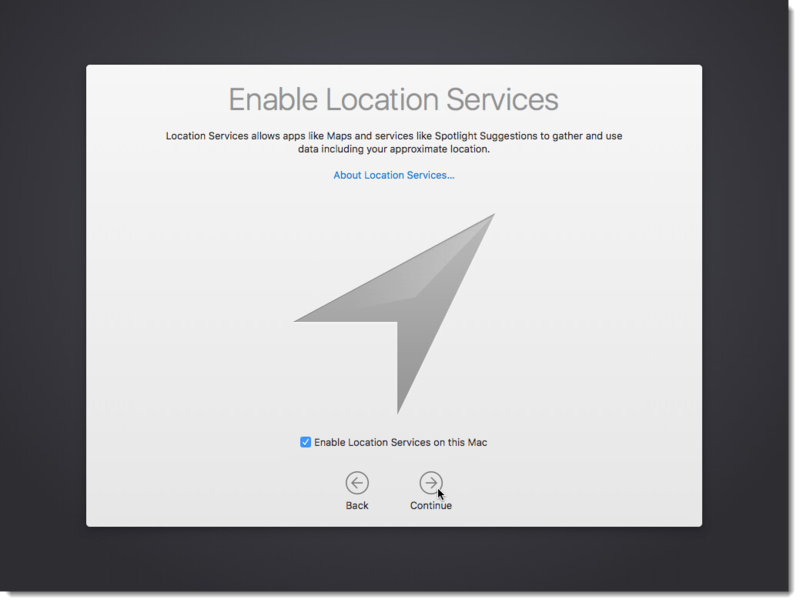 We can then type “ls” to view the contents of the directory. 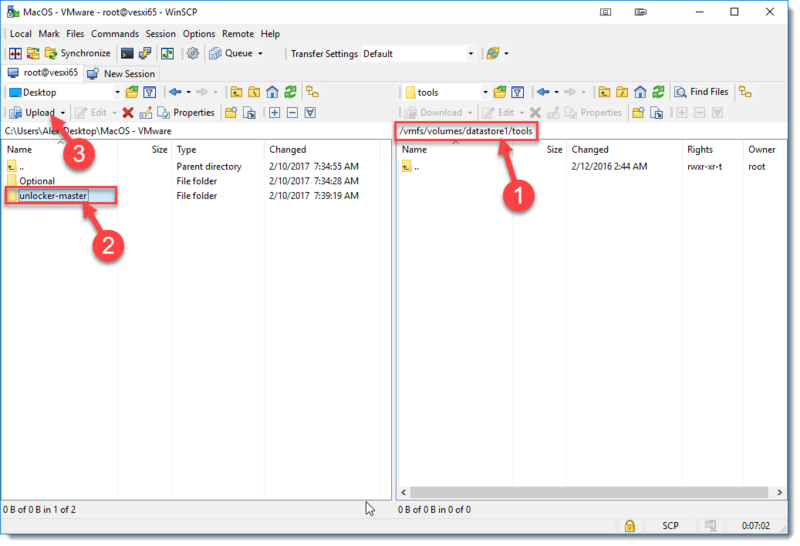 Next, we must make the installation script executable. 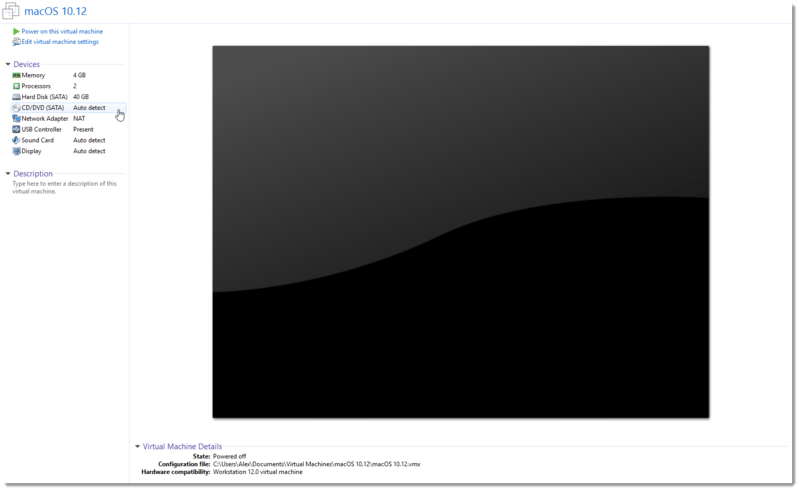 I also like to make the uninstallation script executable as well. Do so by running the following commands. Typing “ls” again will now display the (2) scripts in green text, indicating that they are now executable. 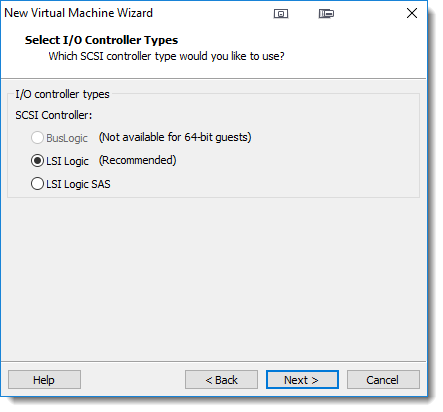 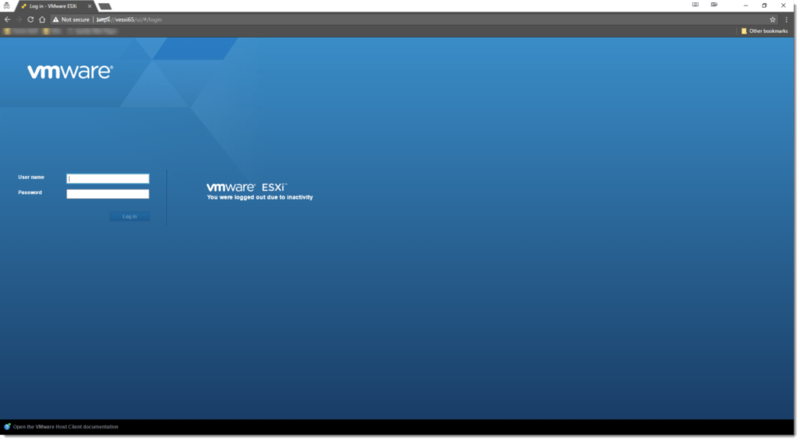 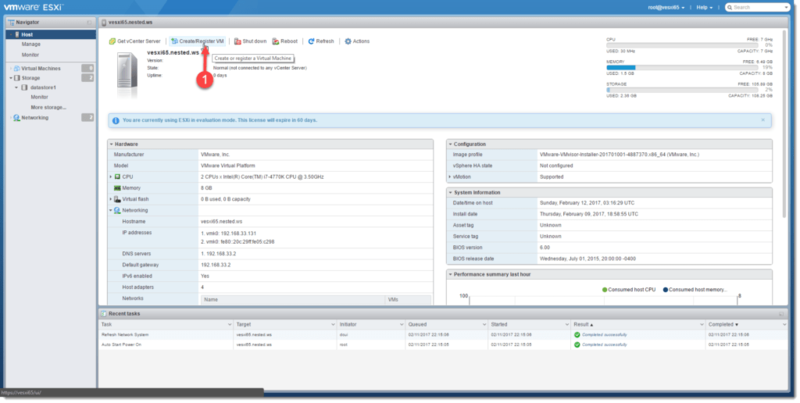 After the ESXi host has restarted, connect to the ESXi Host UI and begin building the shell VM by following along. 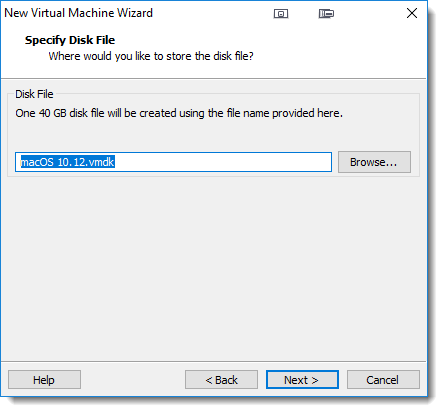 Now that the shell VM is created, we need to go back into the VM’s settings and attach the .ISO that you uploaded to the datastore in a previous step. At this point, the VM is ready to be powered on to install macOS Sierra! 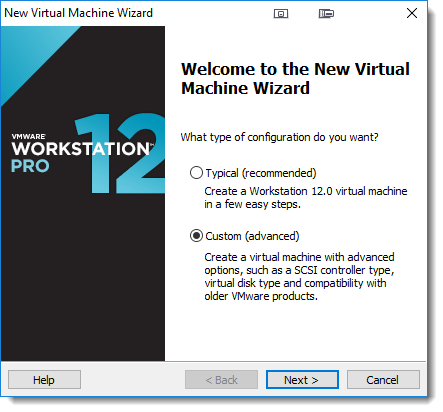 Unlike with the VMware Workstation instructions, there is no need to change the hardware version to version 10 or manually modify the .vmx file. 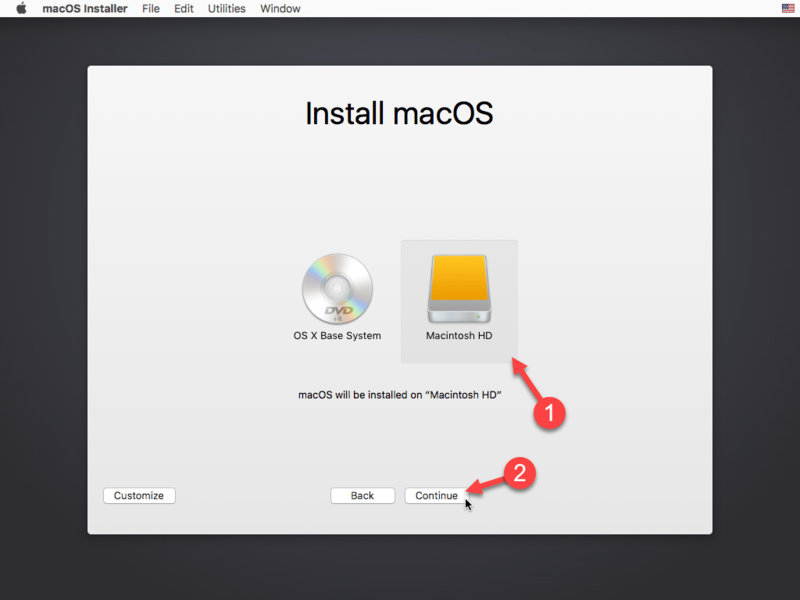 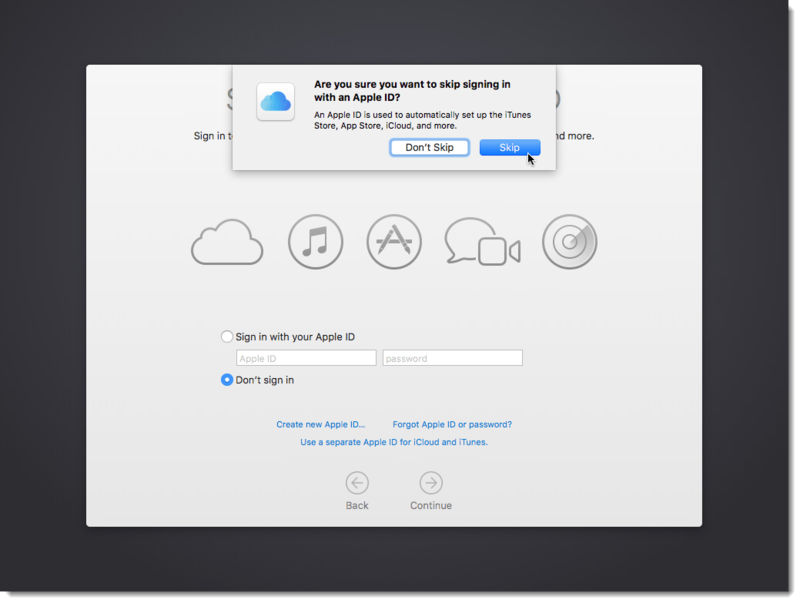 In the next section, I will cover the installation steps for MacOS Sierra. 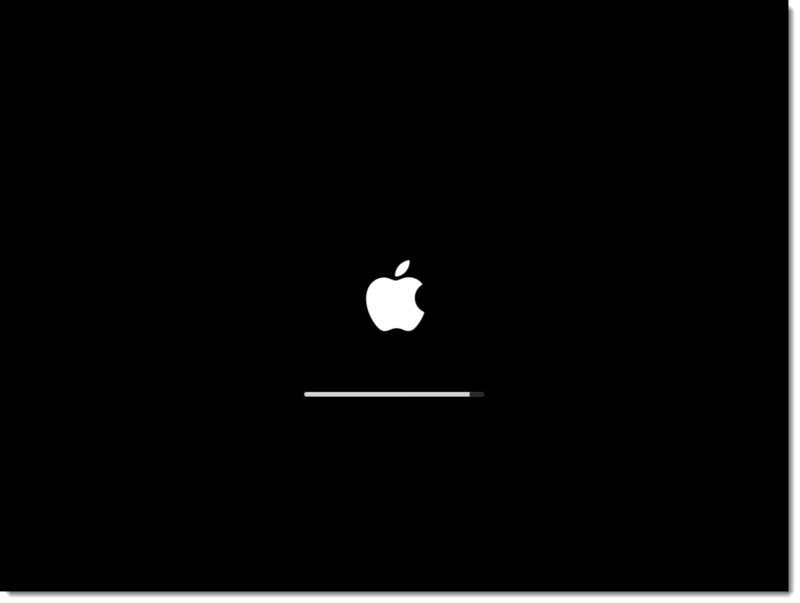 Once the VM has booted the .ISO, you will be presented with this screen. 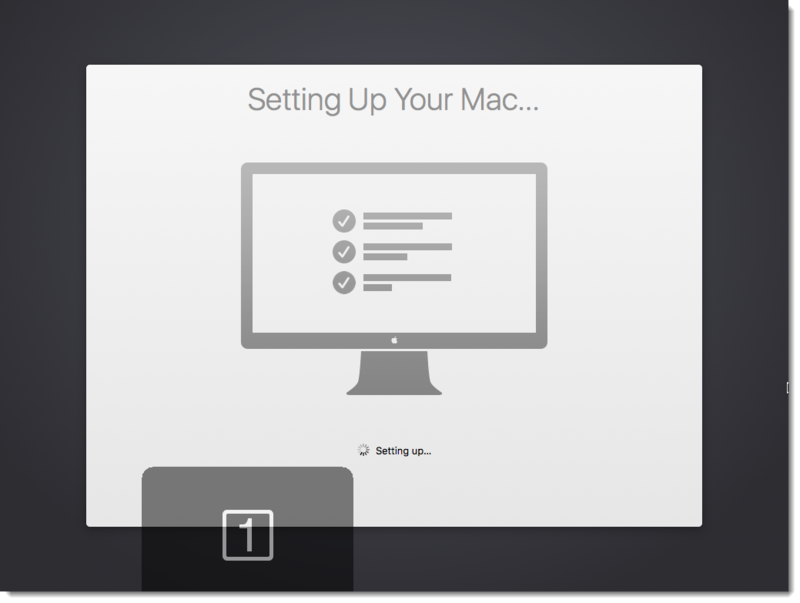 Click next and then go to the taskbar and open Disk Utility. 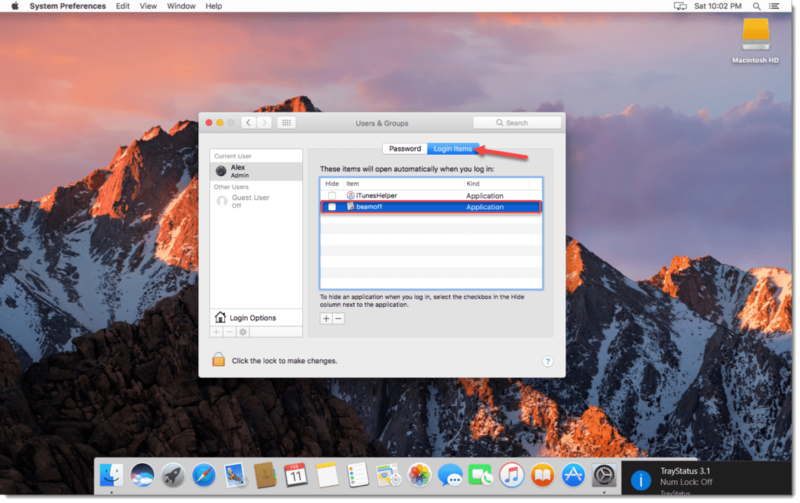 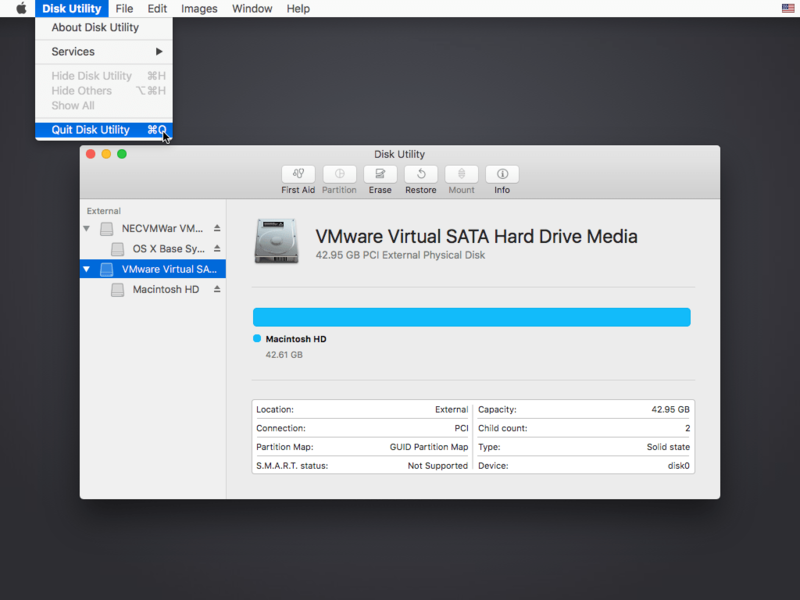 We need to create a partition to install macOS onto. 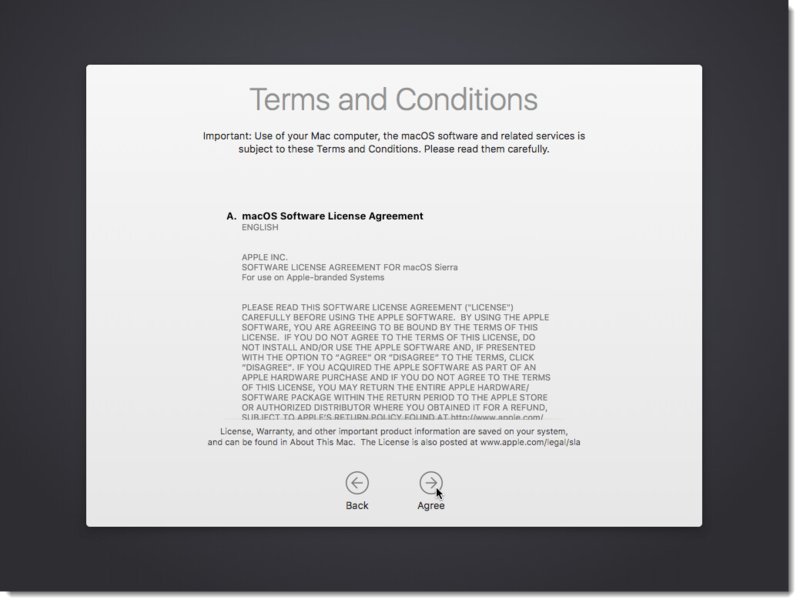 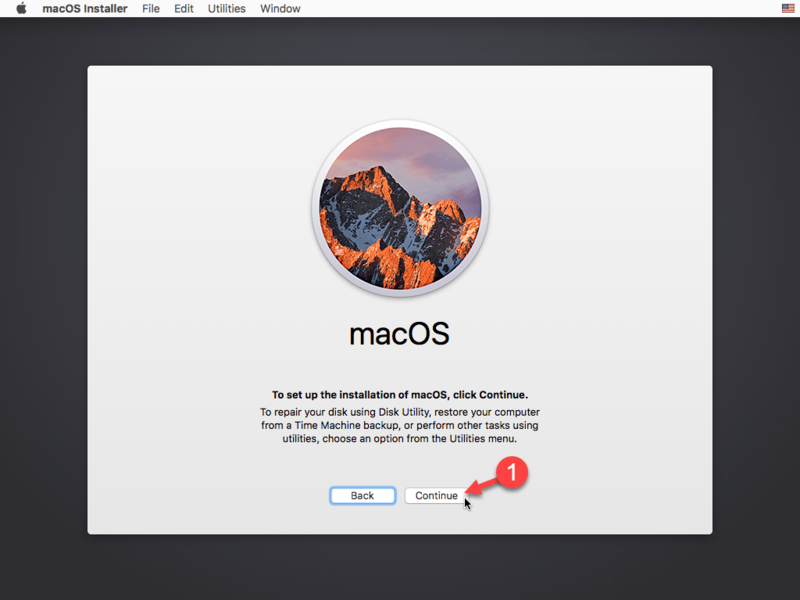 After the partition has been created, we can actually start the macOS installation. After the VM has rebooted, we can continue the installation/configuration of macOS. 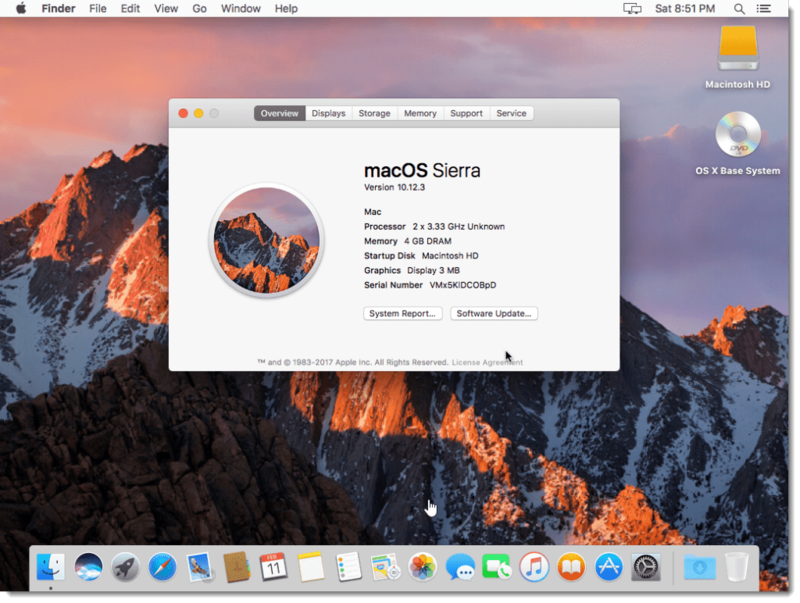 Finally, the macOS VM is ready to use! For the finishing touches, it is recommended to install VMware Tools on this VM. When we ran the installation script at the start of this procedure, it downloaded a “tools” folder inside of the unlocker tool folder and inside it contains the darwin.iso which is used to install VMware tools. 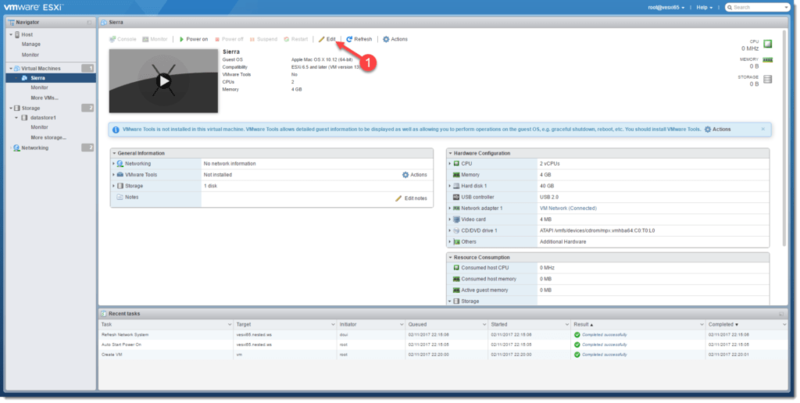 This should be the latest release of VMware Tools 10.1.0. 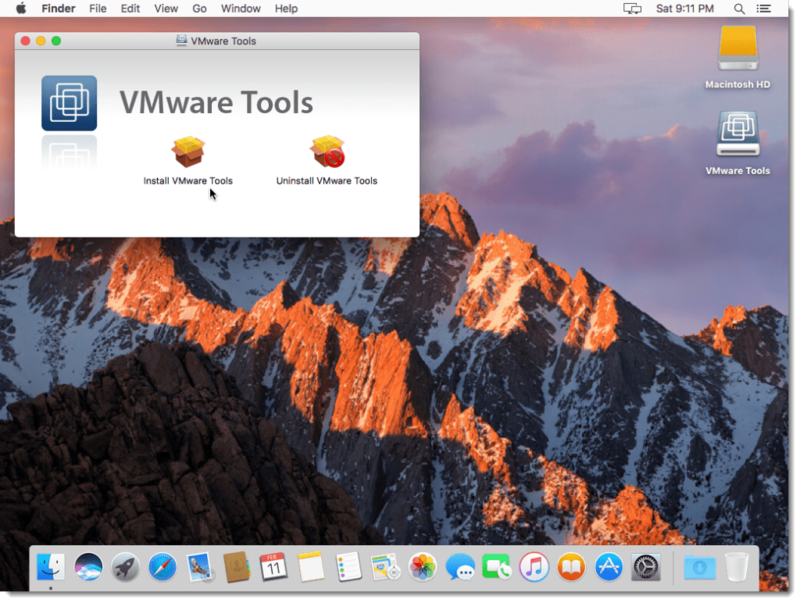 Optionally, you can always download the tools from VMware’s website. In order to install the VMware Tools, we first need to eject the mounted install media. 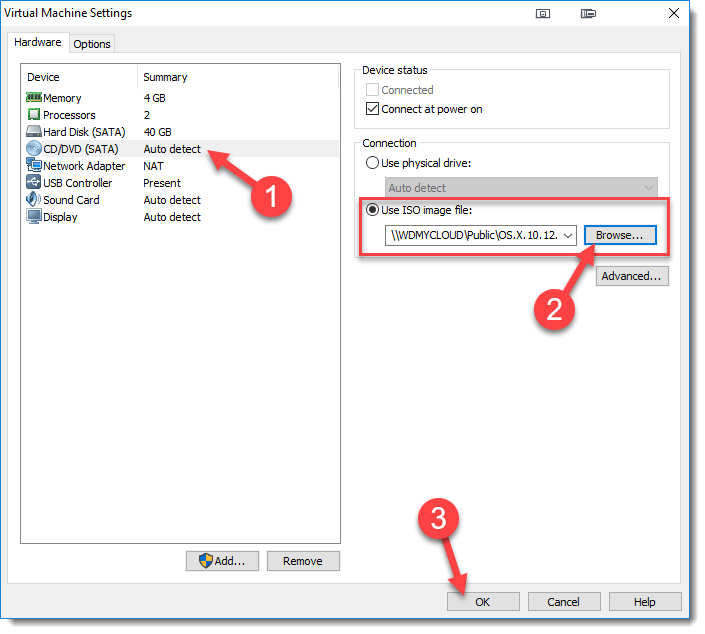 Afterwards, connect the CD/DVD drive to the darwin.iso file. Once the VMware Tools (darwin.iso) is mounted, double-click the “Install VMware Tools” package to begin the installation. 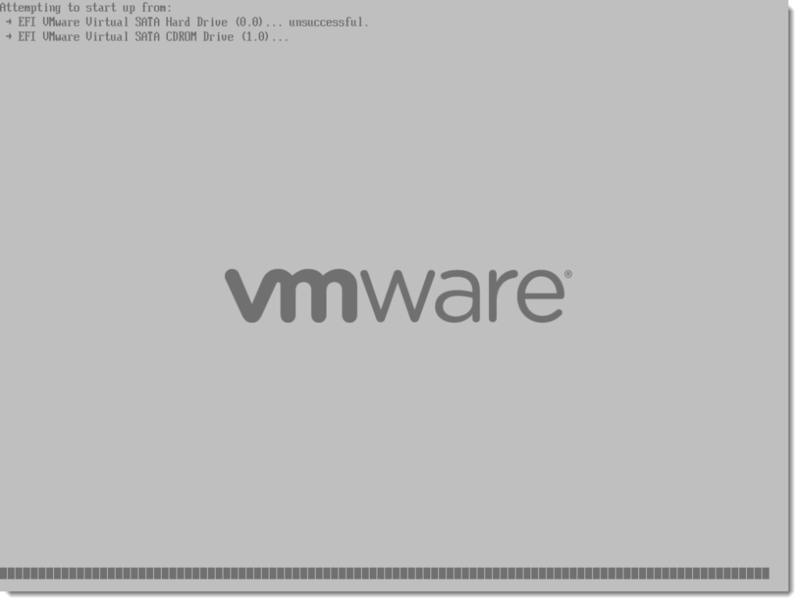 After it completes, reboot the VM for the changes to take effect. 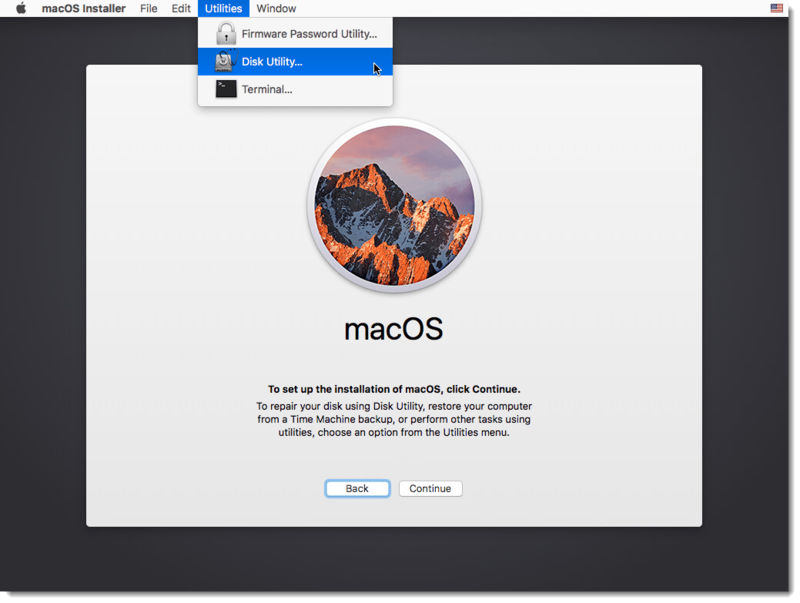 By default, the macOS VM will only support (1) resolution natively, 1024 x 768. 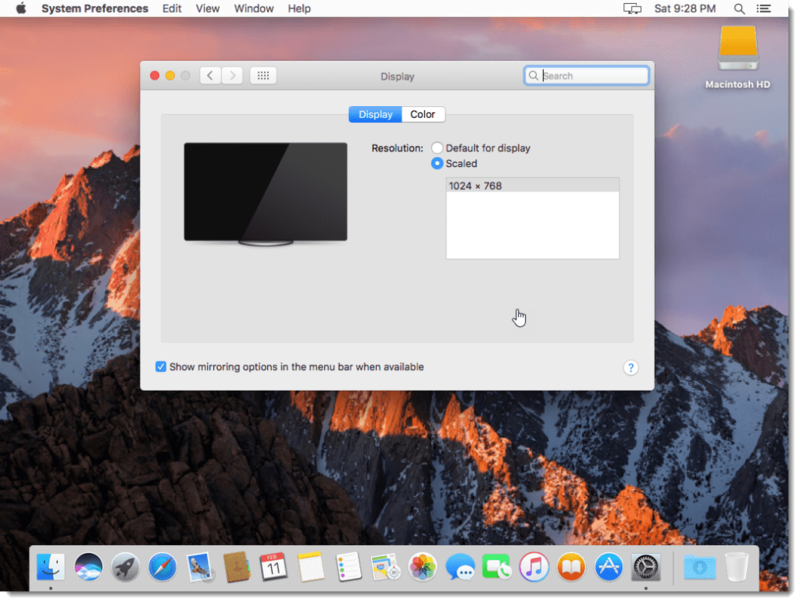 If you’d like to change this to support a higher resolution for say…a larger monitor, please download the following file on the macOS VM. 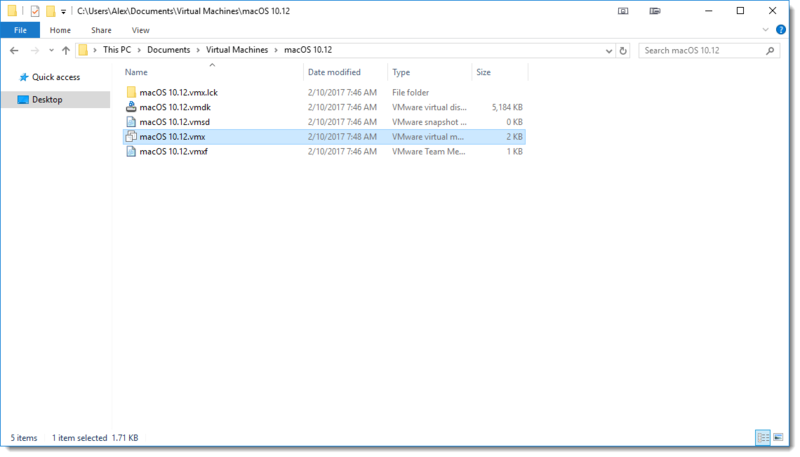 Once the file has been downloaded to the “Downloads” folder in the VM. 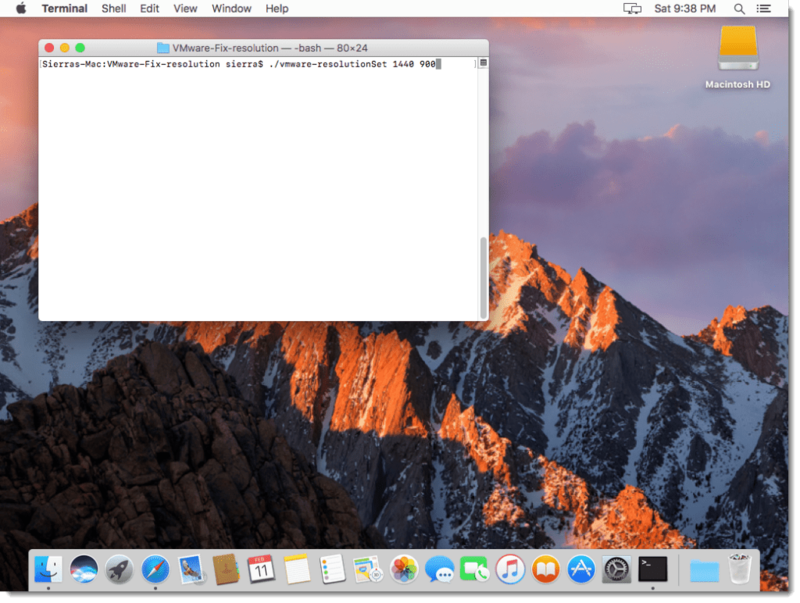 Open the “Terminal” application and navigate to the folder. 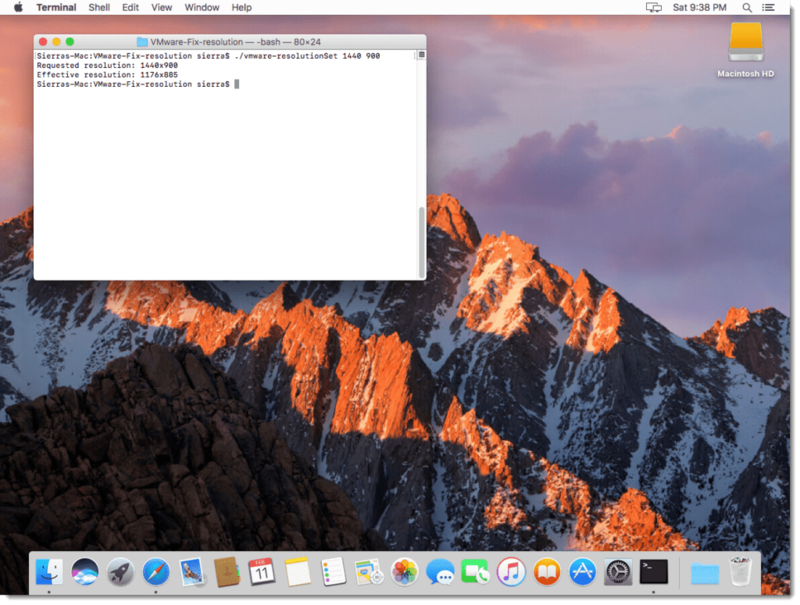 We need to make the script executable, just as we did earlier with the unlocker scripts. 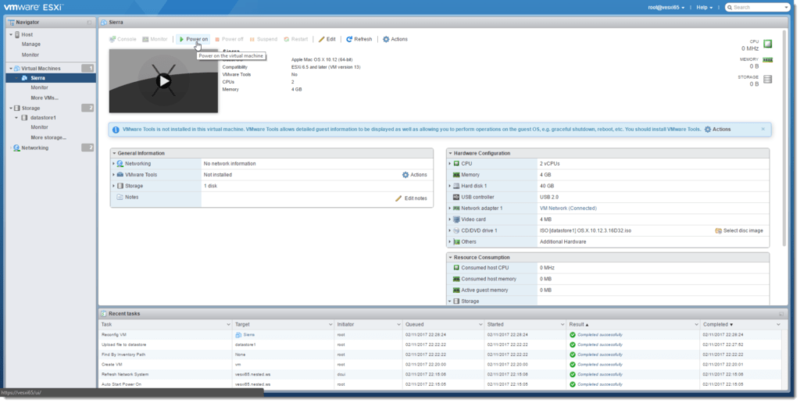 On the ESXi-based VM, I did notice that it does not set a resolution higher than 1176 x 885 while in the Remote Console. But, the VMware Workstation-based VM does indeed set the desired resolution. 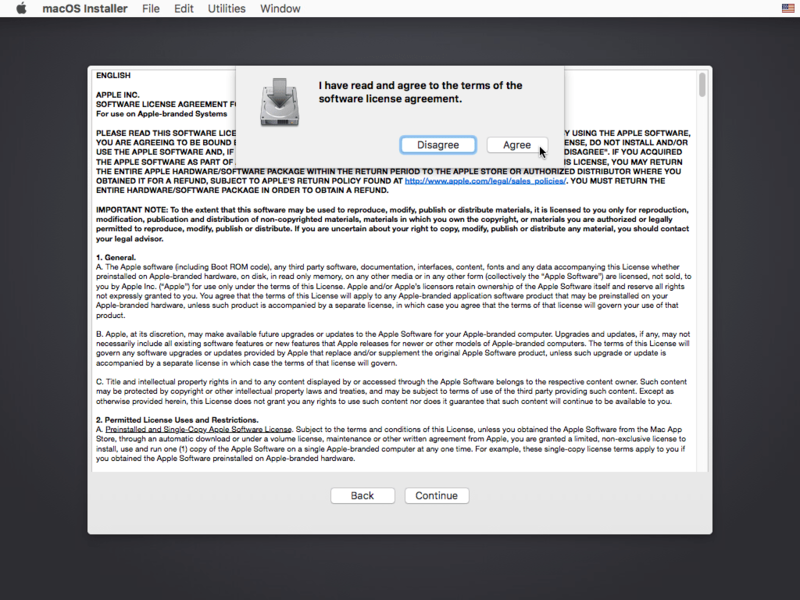 Download the following application and place it in the “Applications” folder. 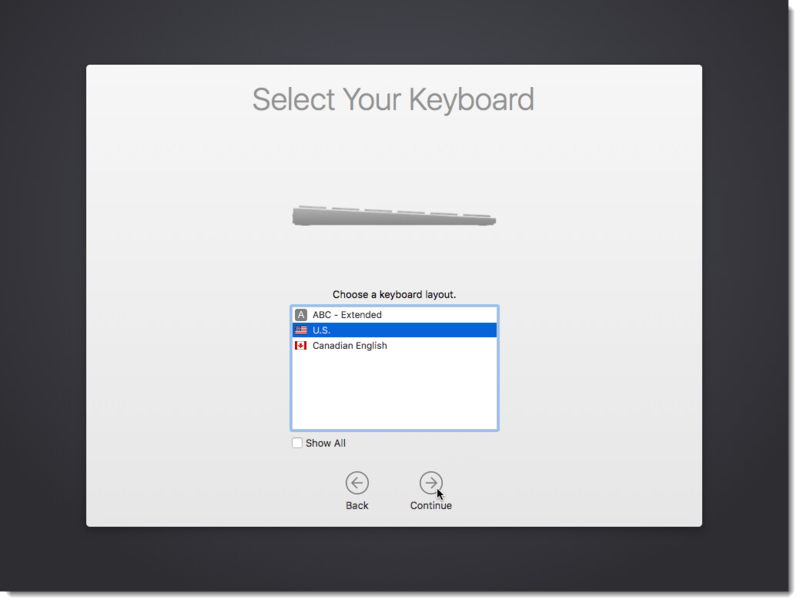 Double-click it to launch the application. 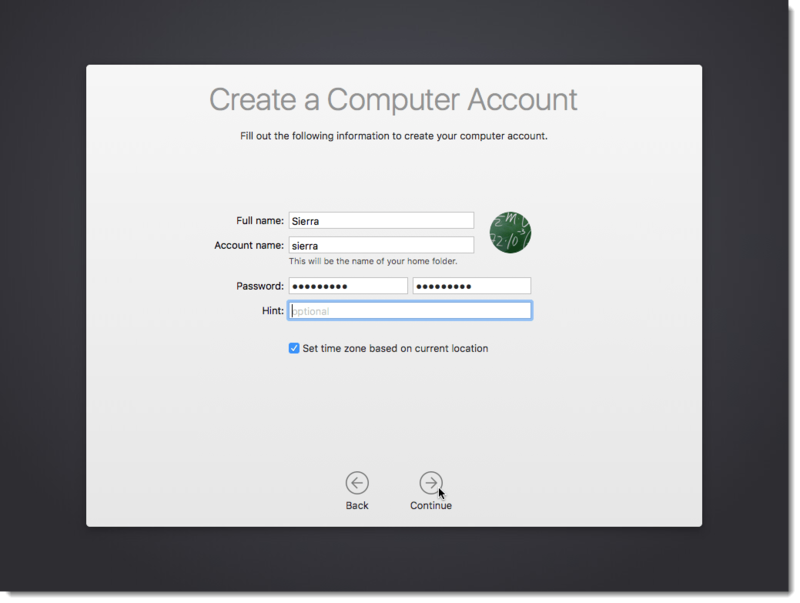 Afterwards, add it to the user’s “Logon Option” so it runs every time at login. 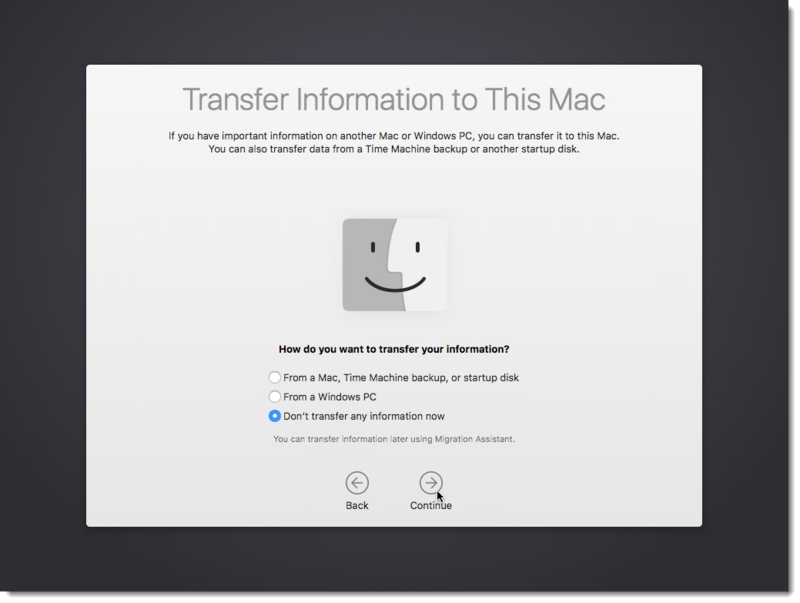 I hope that you’ve found this information useful. 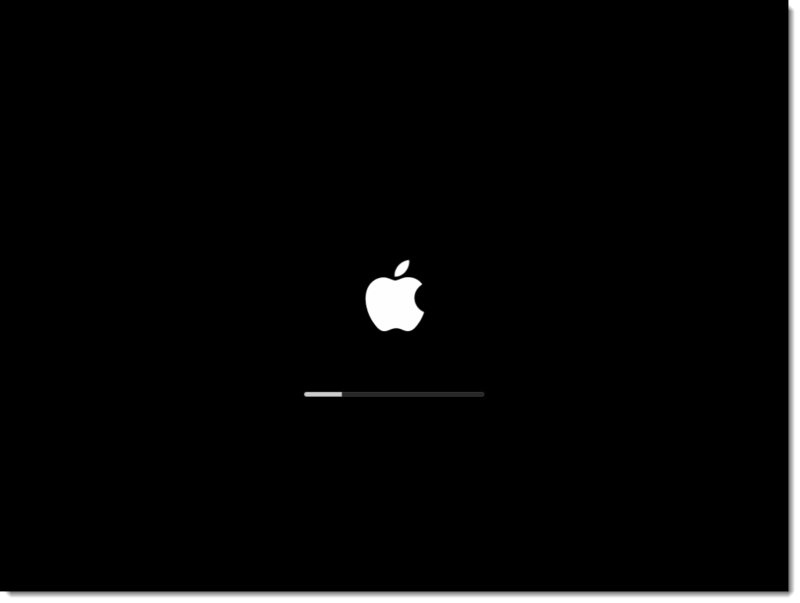 Please do leave comments below and subscribe to my blog! Thanks for stopping by! 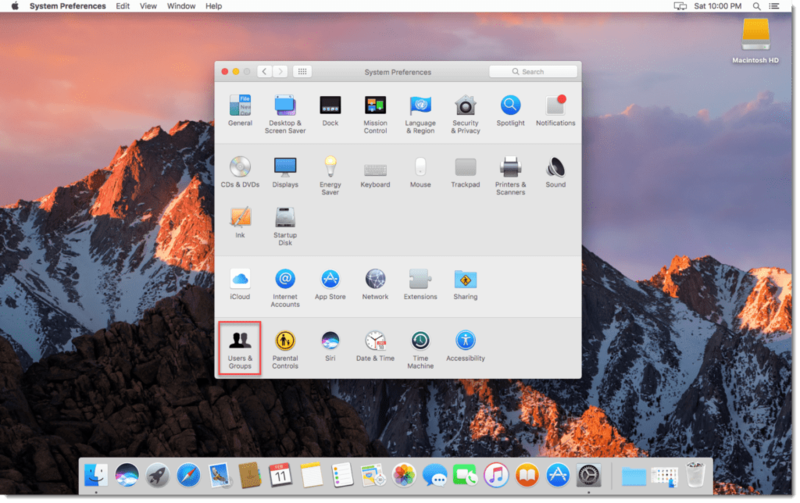 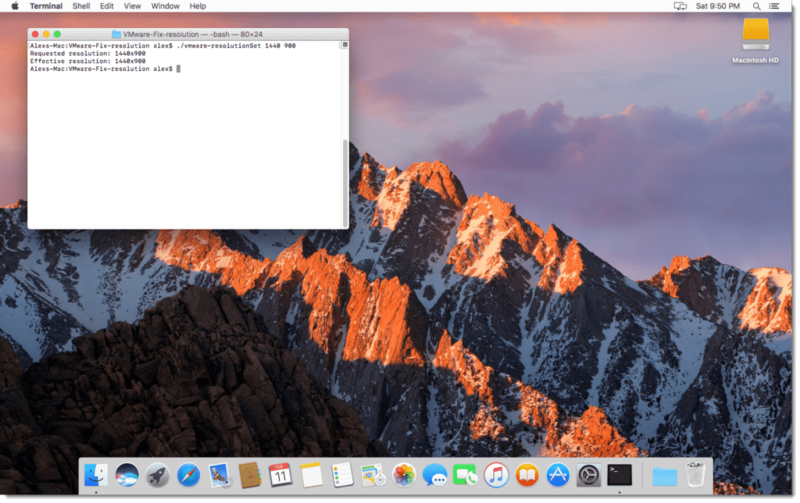 Create a macOS/OS X VM on VMware ESXi 6.5 & VMware Workstation 12.x by virtualex is licensed under a Creative Commons Attribution-NonCommercial-ShareAlike 4.0 International License.